After facing heavy fire from BJP leader Sushil Kumar Modi over corruption allegations for about two weeks, Lalu Prasad Yadav's Rashtriya Janata Dal has hit back. At least three key RJD leaders made several claims in Patna on 23 April about the financial dealings of Modi's family members, and alleged that the latter had acquired a lot of benami property. They claimed that after Modi's appointment as deputy CM, his family members acquired property worth thousands of crores. RJD national spokesperson Manoj Jha alleged Modi's brother Raj Kumar Modi, his two sons, daughters-in-law and cousin Mahaveer Modi formed a web of companies and ran a money-laundering racket. With Bihar RJD chief Ram Chandra Purve and senior party leader Jagdananda by his side, Jha said it should be investigated how the business graph of Sushil Modi's brother went up along with the BJP leader's political graph. Jha alleged that Raj Kumar Modi's flagship company was Ashiana Homes Pvt Ltd, which has seven subsidiaries and two associate companies. However, the Modis ran hundreds of shell companies along with their business partner Lalit Kumar Chhawchharia, and used these companies to convert black money into white, he added. Jha said most of the projects of these companies were in Delhi NCR and other regions in north India, but most of them had mentioned registered address as 5F, Everest 46, C, Chowringhee Road, Kolkata. He also claimed that nearly 200 companies were registered just at this one address. Jha also asked that with government filings showing the company had racked up a loss of Rs 1.32 crore, how did Ashiana get an equity premium worth Rs 65 crore? He also sought to know which bank gave the company a Rs 400 crore loan at 1% interest rate. Jha's other questions for Modi included who was behind the interest-free investment of Rs 84 crore in Ashiana, and who held convertible and non convertible debentures worth Rs 171 crore in the company. 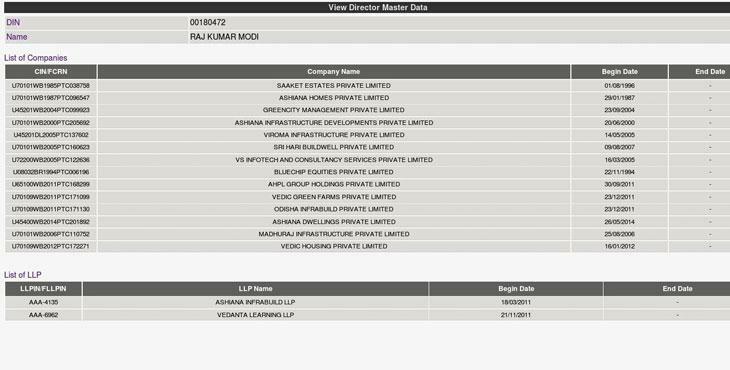 According to information with the Ministry of Corporate Affairs, Raj Kumar Modi, Rohit Raj Modi, Mayank Raj Modi, and Lalit Kumar Chhawchharia are registered as Directors of Ashiana Homes. 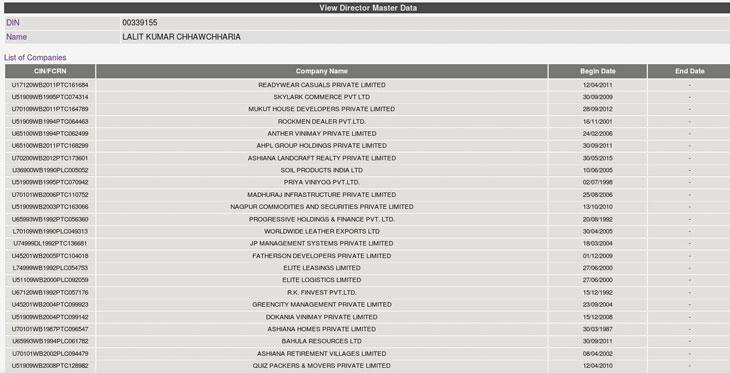 RK Modi is listed as director in at least 16 companies/limited liability firms, and Chhawchharia in about 40. In his defence, Sushil Modi has said that Lalu is pressurising his relatives to make him 'stop exposing' the RJD chief, but he was neither a partner in any company, nor a director in 'any business or contract'. Lalu has started putting pressure on my relatives so that I stop exposing Lalu.I can't be blackmailed by convicted lalu. 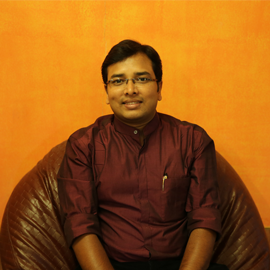 I was full time worker for ABVP & now doing full time politics.Neither partner nor Dir in any business or contract. Technically, Modi is right, since his name does not come up in association with any company. 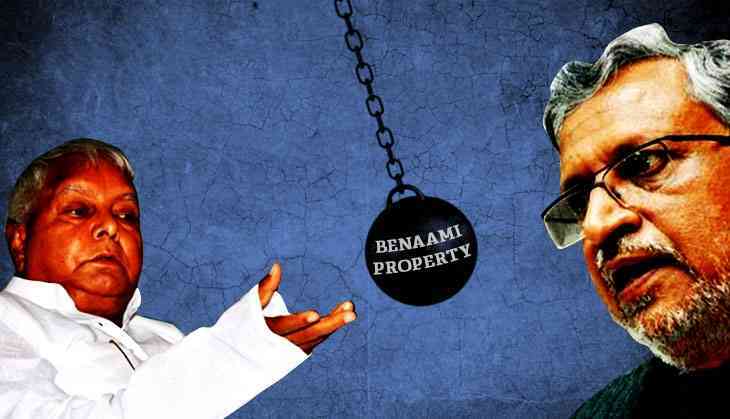 But the charges leveled by Jha are, in any case, of holding benami property. The truth, if any, behind such charges can be unearthed only by a thorough probe. So, in this battle of scams vs scams, it will be interesting to watch if the state government will order a probe to look into allegations made by either side. So far, Chief Minister Nitish Kumar has been silent on the entire saga.